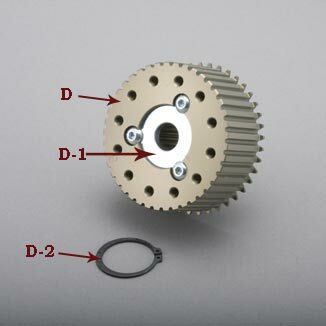 EVO-13B-2 Series | Belt Drives, LTD. Available in Polished, Black (B), or Chrome (C) finish with accent cut. 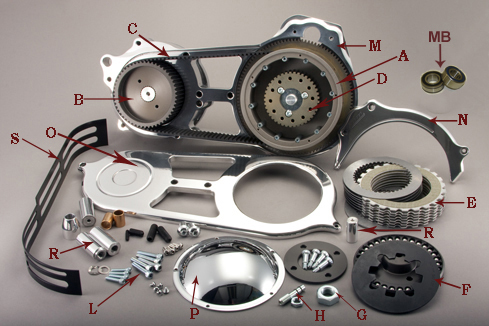 Our 2″ open belt drive kits have all of these features incorporated right into them. 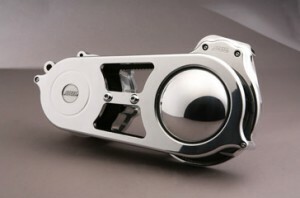 They come with our proven BDL patented Ball Bearing Lock Up Clutch with Kevlar clutch plates. Feel more power and a quicker response, Go on. Set yourself apart from the pack! Front pulley is 52 tooth, the rear basket is 69 tooth with a proprietary 132 tooth 2” wide belt, our lighter rotating mass means quicker revs of RPM’s, which makes for more transfer of power to the rear wheel. 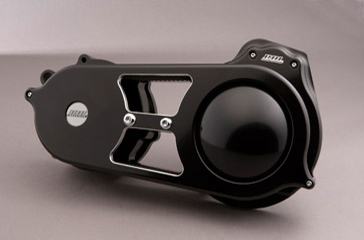 Designed to remove load and ease mainshaft stress you can truly feel the change in the throttle response. 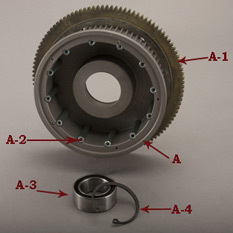 Kits come with all necessary mounting hardware for stock applications. Belt Drives, Ltd. proudly manufacturers its products in house! We start with a 60 lb. piece of billet aircraft grade 6061-T6 aluminum for the motorplate. From our own foundry we pour A-356 permanent mold aluminum ingot for the rear basket and use 8620 chrome moly steel for the SG-4 ring gear. 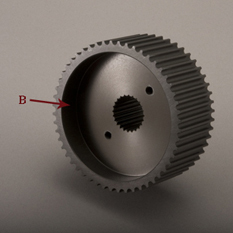 As you can see from our foundry to our extensive CNC machine shop, we do it all. Yes that’s right! It’s Made in America. A Rear Basket 69 Tooth 2"